The Palestine flag has a heritage that is significantly older than the nation itself. The flag is a clear descendant of the flag of the Arab Revolt, so many aspects of the design are shared with the flags of other Arab nations. Those similarities give the Palestine flag meaning as a symbol of Palestinian solidarity with other Arab nations in addition to its traditional role as a symbol of the nation of Palestine and the Palestinian people. The Palestinian flag is based on the Flag of the Arab Revolt. It's been in use to represent the Palestinian people since 1964. The base design of the flag is three equal horizontal stripes (black, white, and green from top to bottom). There is a red triangle at the hoist. These are the Pan-Arab colors. 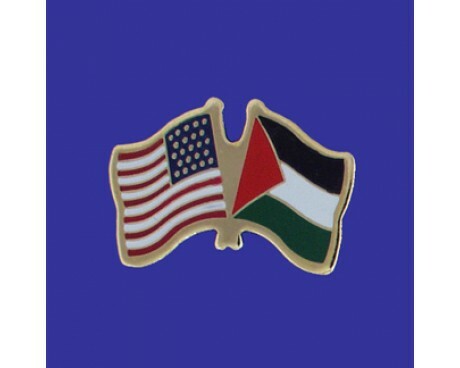 The flag is almost identical to that of the Baath Party, and extremely similar to the flags of Jordan, and Western Sahara, all of which draw their inspiration from the Arab Revolt against Ottoman rule (1916–1918). Prior to being the flag of Palestine, it was the flag of the short lived Arab Federation of Iraq and Jordan. The flag of the Arab Revolt had the same graphic form, but the colours were arranged differently (white on the bottom, rather than in the middle). 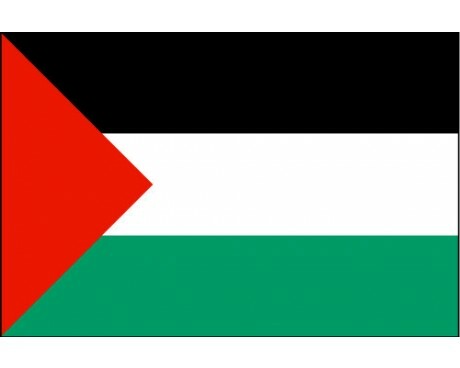 The Palestine flag is made up of three horizontal stripes of black, white, and green that stretch out from a red triangle that is aligned along the flag's hoist. The design is very similar to that of several other nations, and that similarity is a result of the shared heritage of those flags. The flag of Palestine is derived from the Pan-Arab flag, so that flag provided the Palestine flag meaning. The red section represents Khawarij movement, the black stripe stands for Muhammad at the Rashidun Caliphate, the white stands for the Ummayad Caliphate, and the green stripe represents the Fatimid Caliphate. The first Palestinian flag was that of the Mandate of Palestine, which was part of the British Empire. The flag came into use in 1920 as a maritime ensign, but it was often used informally to represent the Mandate at a whole. The flag had a solid red field with the Union Jack displayed in the canton and a white circle with the state's name in it in the fly. It fell out of use when the Arab League recognized the original flag of the Arab Revolt as the flag of Palestine in 1948. 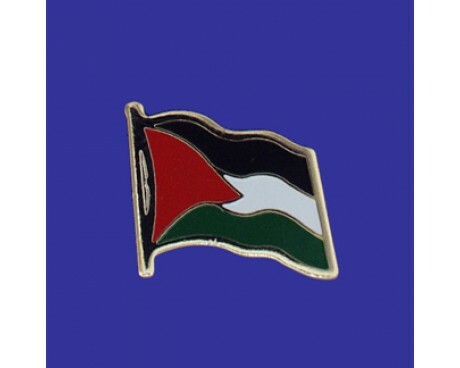 The nation of Palestine came under occupation in 1959, which saw the adoption of the both the flag of the United Arab Republic and the flag of Jordan in parts of modern Palestine. 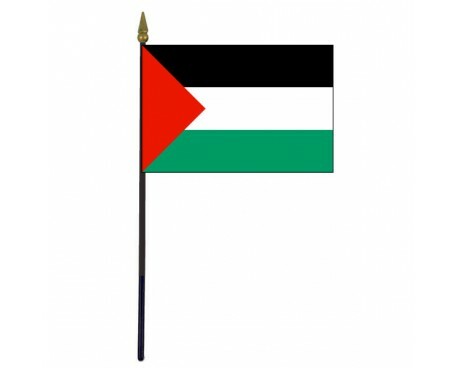 The modern flag of Palestine came into use with the Palestine Liberation Organization shortly after in 1964, although it would take more than twenty more years for the flag to be adopted as the national flag of Palestine in 1988.